Airrex Airsuspension Kit for the Peugeot 1007 (KM). Airrex Airsuspension Kit for the Peugeot RCZ. Airrex Airsuspension Kit for the Peugeot 508. 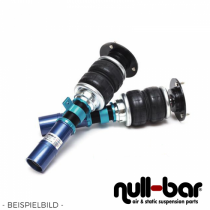 Airrex Airsuspension Kit for the Peugeot 307 (3A/C,3E,3H,3B). Airrex Airsuspension Kit for the Peugeot 308 (4A/C).